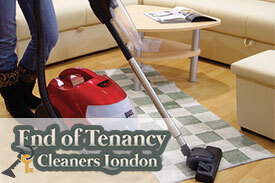 We provide pre tenancy and end of tenancy cleaning in Walworth, London. Living as a tenant isn’t easy, because you have to make many extra arrangements and you have to take really good care of your landlord’s property. Maintaining your landlord’s place is the key to getting your deposit back. At the end of the tenancy period, the landlord will inspect his property and he’ll return your deposit if he is satisfied with the condition of his place. However, end of tenancy cleaning isn’t easy, because it can take an entire day and it is very possible that the final results won’t meet the landlord’s expectations. If you want your home to be cleaned by professionals who guarantee that the place will pass the landlord’s inspection, then you have to contact our cleaning agency in SE17 Walworth. 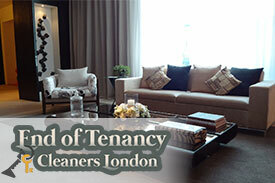 I am glad to tell that you have proved to be one of the best end of tenancy cleaning companies ever! And big thanks for the fantastic and friendly cleaning team you have sent! We offer a reliable and affordable end of tenancy cleaning service which has already met the expectations of some of the strictest landlords in London. We are available seven days a week and the work hours of our employees are very flexible. This means that we can clean your home at a time and date that suit you. These are just some of the advantages of our end of tenancy cleaning service. If you have any other questions regarding it or if you want to know more about the other services we offer, you can contact our support staff. Our customers are able to include professional carpet and upholstery cleaning to their end of tenancy cleaning package. Just contact our cleaning team over the phone and ask for a price.